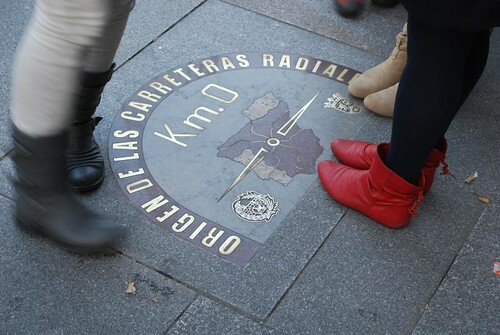 Madrid is an excellent choice for visitors to select as a base when touring Spain, because it's well connected to all other Spanish destinations by air, road, and train. It's a beautiful city with a rich history, extraordinary architecture, art museums and unique shopping. If you want to travel to Madrid, you'll probably enjoy an unique experience itself, and if you're planning to visit other cities, it can be much easier departing from Spain's capital. Madrid's Museo del Prado boasts masterpieces from artists such as Velazquez, Goya, Rafael, Bosch, Titian and Boticelli. Opened in 1819 by order of King Charles III, the Prado is one of the world's first art museums. The city also boasts an exhilarating nightlife with exquisite restaurants, bars and nightclubs. El Rastro is the city's 500 year old bazaar that offers a myriad of antique and other vendors. Madrid is also home to Plaza de Toros de las Ventas, the world's largest bullfighting ring. Home to an unusually large number of hotels, Madrid offers the best in guest accommodations. Many hotels lie near the center of the city making sightseeing very convenient for tourists. The great variety of choice in accommodations drives the hotel business in Madrid into a heated competition which often means fabulous packages at unbelievable prices for travelers. Excellent hotel rooms at great prices makes Madrid a great base when traveling to other parts of Spain. Tourists who wish to travel to Cordoba can get there easiest by train when traveling from Madrid. The trip takes just less than two hours. Taking the bus to Cordoba is about five times cheaper than the train, but the trip takes five hours. When renting a car, the trip is four and one half hours, but may be useful if many cities are on the itinerary. Barcelona can be reached from Madrid by train in just under three hours. Travelers who ride the bus will reach Barcelona in about six hours and travel by car will also take approximately six hours. It is important to note that several toll stops are en route between Madrid and Barcelona. Traveling from Madrid to Granada takes approximately four and one half hours by train. The bus ride is about 60 percent cheaper and takes five hours. Travel by car from Madrid to Granada is four and one half hours. Madrid to Toledo is a 30 minute train ride and the best way to make the trip. Toledo is reached in about an hour by both bus and car. The route has tolls along the way. There are many other day trips possible from Madrid, including Segovia, El Escorial and the "Sierra Madrileña". Madrid is the perfect central point for visitors who want to discover Spain and a perfect city for those who can stay only for a few days in the country.